This talk was filmed at Afest, a global non-profit, transformational event that brings together people who are driven to change the world-- entrepreneurs, authors, technophiles, mavericks, artists and visionaries alike. Like being at a festival that merges Burning Man, TED and an exotic vacation, you'll get to dance the night (and day) away at incredible parties, go on breathtaking excursions, form life long friends and connections and learn how to take your life to the next level both personally and professionally. And it all happens in a paradise location. Christie Marie Sheldon, author of Love or Above and Unlimited Abundance, gives us a quick download about how we end up with energy blocks and a quick tip to clear. Listen to this quick 10 minute chat to learn how it is that you have accumulated abundance blocks over your life, and why even the most self-aware person often confuses or overlooks these deep emotional imprints. Jump to 05:50 to hear Christie's quick tip you can use each day to raise your energy vibration. I was going to talk about Christie Marie Sheldon in a new thread, but when I did a search first, it brought up this thread. The reason why I was researching her is that she apparently referred to the book Power vs. Force by David R. Hawkins in her work. 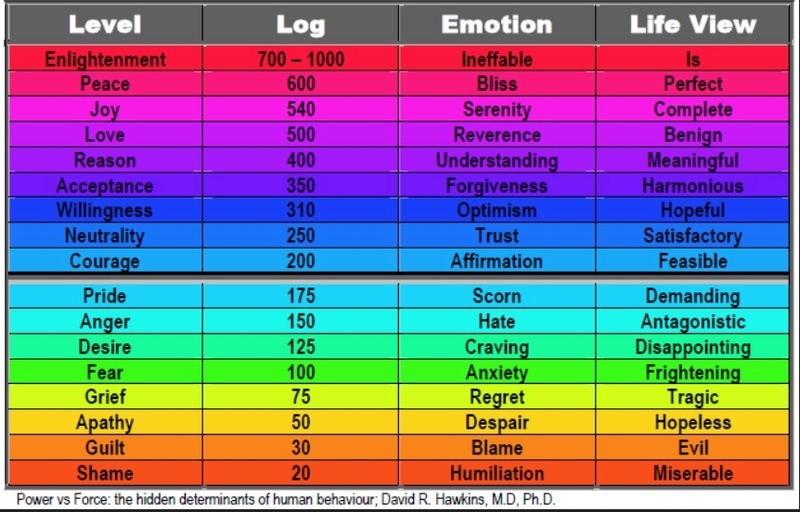 I've read that book, and I'm fascinated by his "Consciousness Chart," which apparently he derived via. two decades of gleaning information from kinesiology. What I would like to know is, do people think that Christie really does see energy fields as claimed? I'd forgotten about this but found the chart fascinating. Yes, I think that he does particularly after looking at the chart. Carol wrote: I'd forgotten about this but found the chart fascinating. Yes, I think that he does particularly after looking at the chart. Do you think she actually does what she claims in the video? Can she see energy fields? Ahh.. sorry for the confusion. Yes, I do.